Let me start on a very personal note. 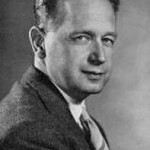 My first memory of a TV relates to Dag Hammarskjöld. I remember how my father made the entire family, with two children of 3 and 5 at the time, walk all the way to the local bus station in Nykarleby, where we lived. At the bus station was one of the few television sets in town at the time. There we watched the funeral of Dag Hammarskjöld. In some way this memory is very vivid; a room full of mourning people in remote Ostrobothnia. It was a sense of immense loss: for the UN, for the Nordics and for the world. A prominent part of Dag Hammarskjöld’s legacy has to do with peacekeeping, which was an important innovation during the Suez crisis in 1956. The deployment of soldiers under the United Nations flag was a central element also in the extremely complicated Congo crisis, which erupted in 1960 and finally was to cost Hammarskjöld his life. The UN troops assumed an active role in a country that had not been prepared for independence and consequently suffered both secession and civil war. This led to much controversy, but peace was restored in the end. In the shadow of conflicting interests, the UN had been guided solely by the interests of the Congolese people. 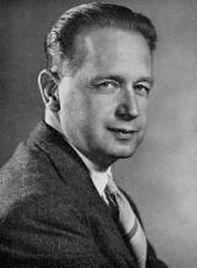 That was emphasized by Hammarskjöld in his reports on the Congo operation. At the time of the Congo operation the world was probably not quite ready for the active involvement of the United Nations in an acute African crisis. Since then much has changed. An important milestone was the report of the International Commission on Intervention and State Sovereignty, The Responsibility to Protect, that was published in the year 2001. In the years to come the issue of international responsibility for the protection of human beings even against misbehaviour by their own governments has been thoroughly debated. Slowly, the idea of such a responsibility has taken root and become widely accepted in the international community, in particular at the United Nations. Human rights are traditionally a matter for national governments. In the United Nations system there are resources for their promotion and mechanisms for their implementation. On many occasions, violations of human rights have been duly reported and condemned by the General Assembly and other UN bodies. A further step has been taken in the 21st century, when the ideas of protection, prevention and reaction, even forceful reaction in cases of gross violations, have come to the forefront more than ever before. It seems to me that this development is fully in the spirit of Hammarskjöld’s thinking and action half a century ago. Just a week ago, on 17 March, the Security Council adopted resolution 1973, which has immediately been seen as a landmark in the practical application of the new principle of the responsibility to protect. The principal purposes of this resolution are to achieve an end to all violence against civilians in Libya, to establish a ban on flights in the Libyan airspace in order to protect the civilian population and to enforce the arms embargo already established by a previous resolution. The Security Council authorized expressly the use of “all necessary measures” in order to carry out those decisions. Concretely, this means that the Council has now directly authorized combat operations for the first time since the Kuwait crisis in 1990. The Government of Finland has not endorsed the resolution 1973, but expressed satisfaction with its adoption. I must admit I fully understand those who question why not stronger words in this regard are used. But together with the other countries of the European Union, Finland is engaged in consultations and eventual further actions for the same purpose. At least for the time being, however, it does not seem likely that Finland would deploy any military assets in the Libyan operation. But as the past weeks have been dramatic, and much drama remains, they also invite us to reflect. The events in Libya must not prevent us from seeing the needs in other countries in Northern Africa, or in African countries in general, and the root causes for the popular rising. There is a longing for democracy and discontent in many of the countries, because they are lagging behind economically and the full potential of the population is not in use. The northern neighbours of Tunisia and Egypt must not only offer Frontex operations, but as the leaders in Brussels today will discuss, we are, and should be, their partners in education, democracy, institution building and free trade. And this goes not only for Northern Africa; we must not forget the least developed countries no matter where they are in the world. But what development cooperation is needed? I am not saying that I have any better insight into the issue than they have, but: Like quality has not been on the minds of those involved in the hands-on development work before..! Like they have not been focusing on getting concrete results before! It is true that the qualitative results are not always easy to measure, and climate change and other developments have not made the task of improving the lives of the poor easier in recent years. There are always things that can be done in a better way, and we always need to critically evaluate what we do. But this focus on the quality of aid delivery and outputs, will not, it will never, make up for the fact that we also need more money to achieve the results we have agreed upon in common. This said, we have not seen the transformations in the developing countries as we could have expected. Therefore I wonder if we have not used enough the potential of entrepreneurship, of small businesses and the initiative of private persons. It is, I believe, time for the official development cooperation to use more of private sector instruments to empower people in the least developed countries. We know trade has made more advances towards the fulfilment of the MDGs than traditional development cooperation has. Building infrastructure has helped millions reach markets. The poor are also dependant on some outside services in their daily life, and today these often come with a very high price. We need to enable the poor themselves to provide affordable services to their own peers, by offering investment capital, transfer of technology and some know-how, by giving them a chance of becoming masters of their own fate. We need to invest more in small and micro enterprises, developing new markets by the poor and primarily for the poor, to help them find a way out of living on a subsistence level. They need our assistance in making this happen. It is time for an open and frank discussion on the means used for development cooperation, a frank discussion, but not only in the superficial terms of quality and quantity, but on the content, on the real content of the assistance. Let us hope that in this discussion we will have the wisdom and courage so much being a part of Dag Hammarskjöld’s legacy: “Never measure the height of the mountain until you have reached the top. Then you will see how low it was”. We cannot fail the over a billion poor people in the world today. It is our duty to go beyond ourselves to make an end to that human suffering. Only by going beyond what we think is possible, by not counting the steps, can we, maybe, be successful in making poverty – history.